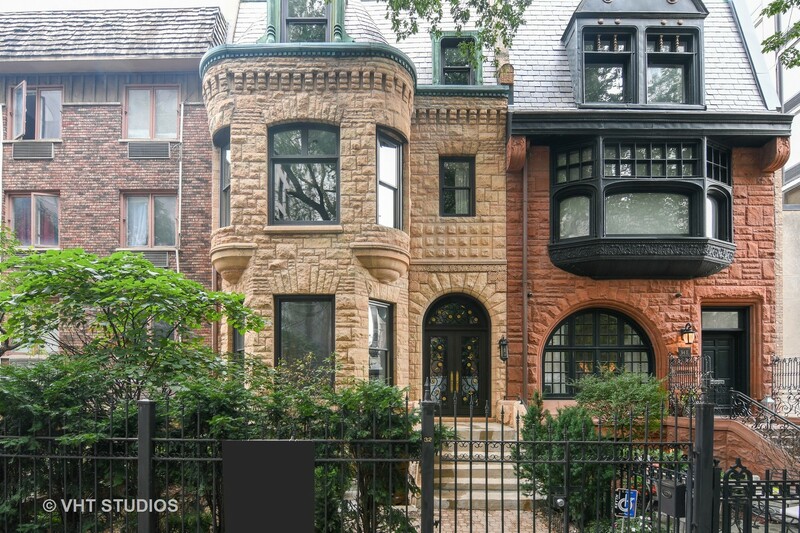 Pleased to introduce this elegant, completely remodelled mansion located in the heart of Chicago's hottest Gold Coast neighbourhoods. The story of this magnificent villa began back in 1887 when architect John Wellborn Root designed this home right down next to the lake. Situated on 24x130 city lot, timeless stone and brick historic villa offering modern comfort of city living . Just completed with Chef's custom kitchen, Wolf appl., granite counter tops, mosaic backsplash, oversized island with under counter/under cabinets lighting. Grand-scale entertaining dining room, open concept, beautiful living room w/fireplace, build-in shelves complete w/under shelves lights. Highlights include lavish designed master bedroom w/fireplace, tray build-out tall ceilings, hardwood floors. Spa master bath w/fireplace, steam shower, freestanding soaking tub, dual vanities. Additional sitting room leads to roof top deck. All 6 en suite bedrooms, 3 car garage. Spacious lower level.